fuboTV has added AppNexus veteran Geir Magnusson Jr. to its management team as chief technology officer. 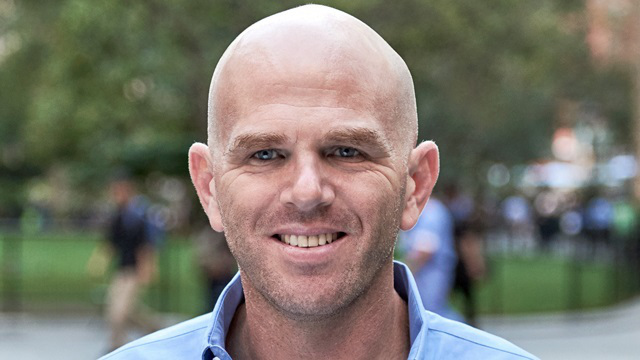 Magnusson is based in fuboTV’s New York City headquarters and reports directly to David Gandler, co-founder and chief executive officer. Magnusson’s appointment is the latest news for fuboTV, which earlier this week became the first virtual MVPD to launch 4K HDR, ahead of rivals owned by media and technology giants such as AT&T, Alphabet, DISH Network, and Sony. Magnusson, who will double the company’s engineering team over the next few months, is tasked with accelerating the pace of fuboTV’s tech development and operations and building on the already-strong technology powering the streaming platform. The independent start-up continues to defy the odds by successfully going head-to-head with major companies competing in the live streaming space. In addition to adding 4K capabilities earlier this week, fuboTV was among the first virtual MVPDs to launch Cloud DVR, 60FPS picture quality, and in-app billing, and was the first to fully implement SCTE 224 blackout technology standards. Additionally, after several months of testing, fuboTV officially launched dynamic ad insertion in January — ahead of Hulu with Live TV and YouTube TV. It has also quickly brought 300 local broadcast stations to its service, more than DirecTV Now, PlayStation Vue, or Sling TV. Magnusson will play a significant role in taking these achievements to the next level, and in rolling out future, patent-pending technologies. He will set the company’s technical strategy and focus on scaling out systems and infrastructure that will ensure the platform continues to be ready for future growth, and he will drive development of critical differentiating technologies in the areas of personalization, machine learning, and video technology. He brings three decades of experience leading product and engineering for some of the US’s largest software companies and hot tech startups. Prior to fuboTV, Magnusson co-founded Sourcepoint Technologies in 2015 and was its chief technology officer until 2017. He previously spent two years at AppNexus, most recently as chief technology officer. Previously, Magnusson has held senior positions at Gilt Groupe, 10gen (now MongoDB), Joost Technologies, Intel, and Bloomberg, among others. Magnusson earned both his MS and BS from The Johns Hopkins University.